Visit Always and Forever one time and you'll certainly want to come back. All the areas attractions start within 3 miles like Dixie Stampede, Go carts, Hatfield and McCoy Dinner show, Tanger Shopping center, The Island shopping and Ferris wheel, and lots and lots more on the Pigeon Forge parkway. 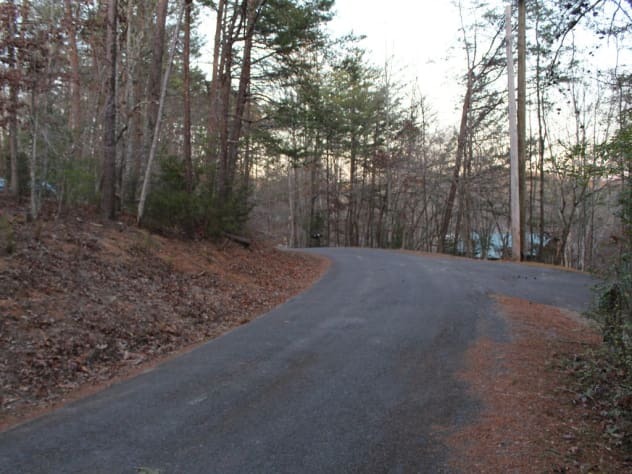 Very good roads to the cabin with newly paved asphalt with no drop offs. This is a cozy love nest, especially for those looking to rekindle the passion with your honey. 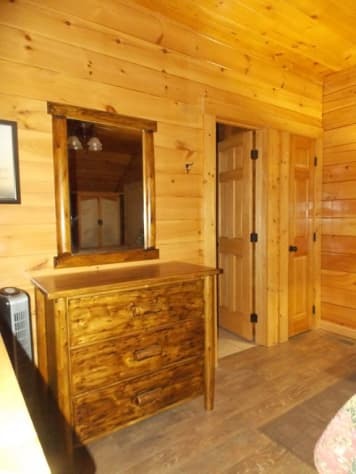 This snug log cabin in the woods has many nice touches to make your time here special and to just top it off it's less then 3 miles to the town of Pigeon Forge and only 1.5 miles to the city limits. Privacy at it's best and don't forget location is everything this is the best deal around come snuggle here with your better half. Come and make memories that last in Always and Forever!! There are two fireplaces, one is in the living room. Or you might prefer to lie in bed and watch the flames in the bedroom fireplace that are sure to spark the heat in other ways. Speaking of turning up the heat, you'll be unable to resist the hot tub protected by a screened porch with total privacy. 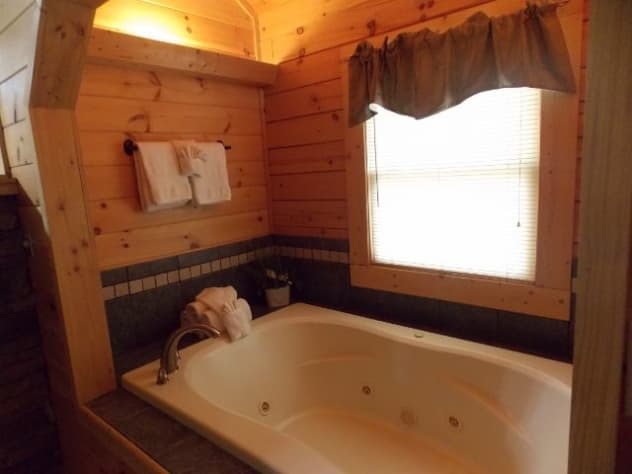 Or make romantic memories in the jetted Jacuzzi tub just steps from your bedside. 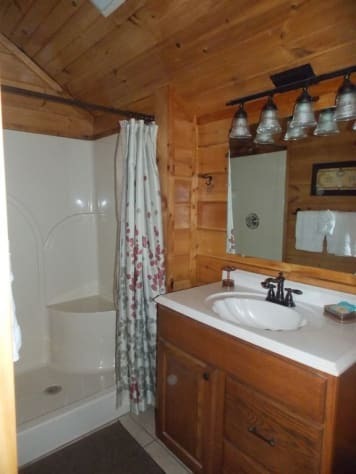 The cabin is on a large lot, so you have the privacy you want. Always and Forever is an 800 square foot honeymoon cabin. The living room and kitchen are combined with a bedroom separated by a half partition. The kitchen is well equipped for all your cooking needs. A washer and dryer are hidden away in a closet if needed. The screened back porch has a table and chairs with a gas grill for enjoying some leisure time and the front porch has a swing with rocking chairs. 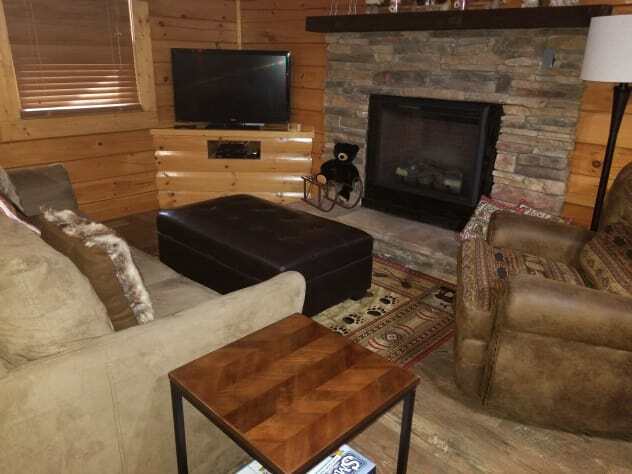 The TV is high definition and movie channel is included for when you just want to stay at the cabin and relax. Also, don't forget your computer if you must work. Free WiFi internet is also available. Sorry this cabin is NOT pet friendly. We have outside security cameras. Incredible doesn’t begin to describe it!! Stephanie and Always and Forever were incredible!!!! I literally booked with Stephanie 3-4 weeks before our trip after a cabin I had reserved in March cancelled when the owner sold the property. I was panicked my boyfriend and I would have to cancel our trip when I stumbled across Always and Forever. 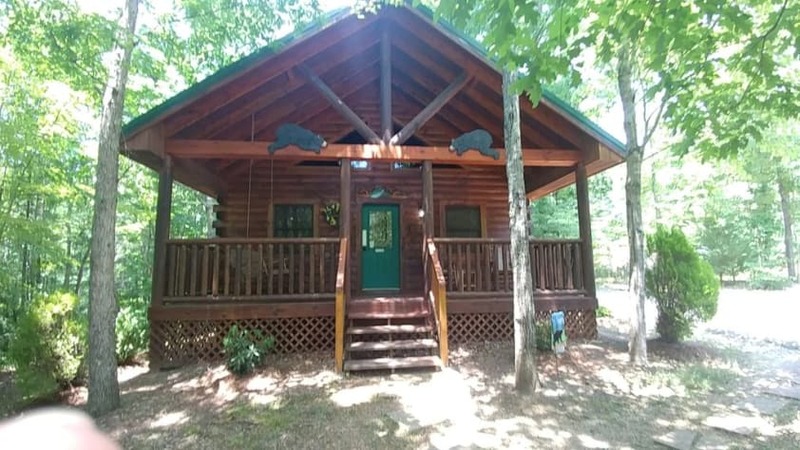 I contacted Stephanie telling her the situation and she helped me reserve this beautiful cabin!! The cabin itself was perfect!! It had everything one could possibly need for a cabin getaway! 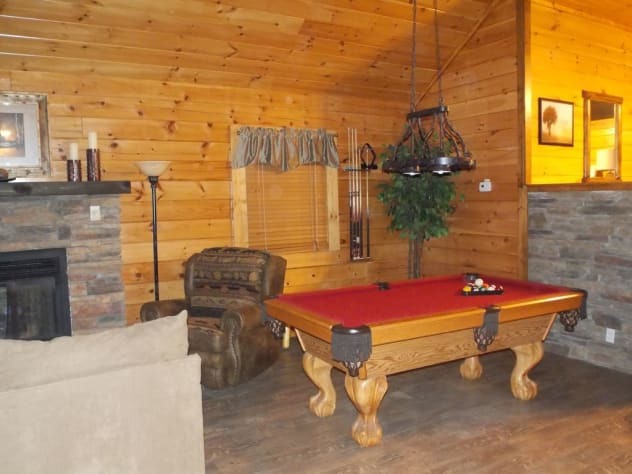 The layout of the cabin was perfect! I love the stairs separation of the bedroom! The hot tub was a dream after walking all day! And the mattress was AMAZING! My boyfriend and I are already talking about a return trip next year and staying longer!!! I highly recommend Stephanie and this cabin!!!! 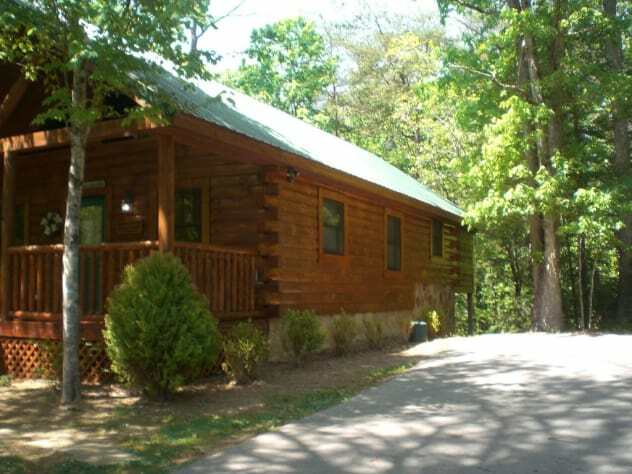 Our overall was it was perfect for a vacation cabin ot felt very comfortable and was very nice. Cabin is beautifully decorated!!! Its immaculately clean. This is the third time that we have stayed in this cabin. 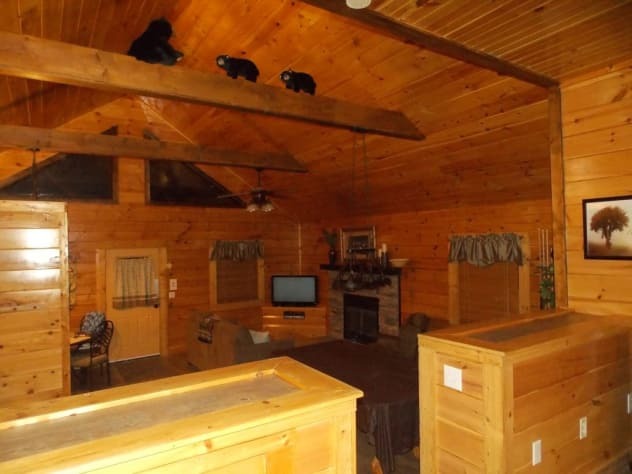 It is by far the cleanest, well- decorated cabin we've stayed and we've rented cabins for years. 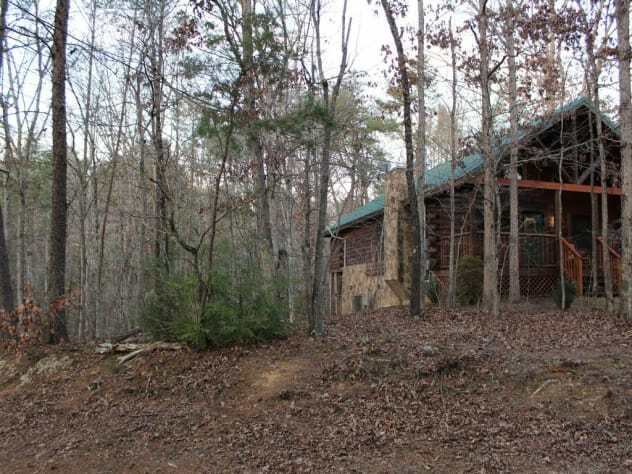 It's close to town, but is secluded enough. Owner is great to work with and very helpful. We come to this area every October to celebrate our wedding anniversary. This was 41 years of marriage. We plan on being back next October. My husband and I came for a short getaway. This was a really nice cabin. It was so spotlessly clean. They had thought of every little thing you might need. It was decorated so cute and comfortable. We would love to stay there longer next time. Great, Stephanie is so nice to do business with. Cabin is beautiful and bigger than expected. Kitchen cooking utensils stock very well down to the vegetable peeler. A wonderful bonus to have an ice maker in freezer, that was a nice surprise . Also nice to be able to wash clothes and pack clean clothes to come home. The cabin was beautiful and it was in a prime spot. It was about 10 minutes away from everything we did, but it was quiet and nice. 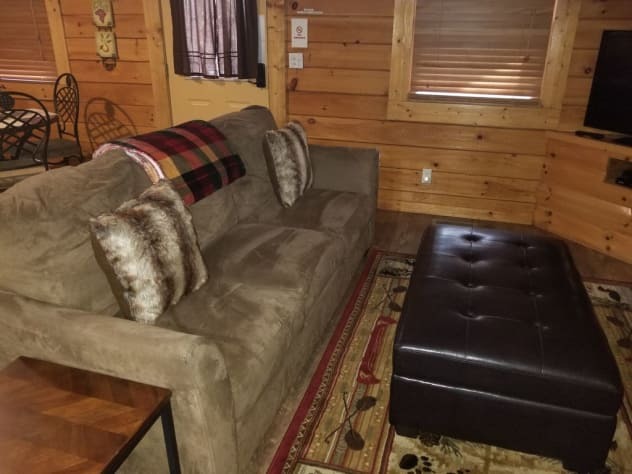 The cabin was clean and just our style. We loved the huge jacuzzi tub and the hot tub. I wish we decided to stay longer. My husband and I both agreed we want to come back next year. We are even starting to plan out next trip and hope to make it longer than the 4 days we were here. I definitely recommend this cabin for a romantic getaway. Stephanie was kind and even sent me the information twice since I could not find it. The driveway is steep and a little hidden, but after we found it, it was easy.